Following successive loan spells in Germany from Arsenal FC, Johan Djourou finally seems to have settled in the Bundesliga and now looks set to remain in Germany for the foreseeable future. After spending eight and a half years at the North London club under the watchful eye of Arsene Wenger, the Swiss international, in a career whose progress has slowed somewhat after an almost instantaneous ascent to the professional game, has spent time at Hannover 96 before his current posting with Hamburger SV. Born in the Ivorian capital of Abidjan in 1987, Djourou was a toddler when his family relocated to Geneva. Growing up in the picturesque city, he played for various youth clubs before joining then second-tier outfit Etoile Carouage FC aged 15. He wasn't there for long, however, and just a few months later in 2002 he had been snapped up by Arsenal's academy and labelled as the latest exhibit of Wenger's famed talent-spotting. Djourou turned professional the following summer and went on to make his first-team debut in a League Cup tie against Manchester United FC on 27 October 2004. However, despite his athletic build, calming presence and excellent ball-playing ability - he was originally a central midfielder and played 13 games there whilst on loan at Birmingham City in 2007/08 - Djourou spent much of the next eight seasons on the fringes of the first team. Yet despite not featuring prominently in a competitive Gunners' squad, he still has plenty to offer. His time at Hannover was fairly sucessful - with 14 appearances in Hannover's ninth-place finish he became crucial to Mirko Slomka's men, but it was Hamburger SV who swooped to capitalise on the Swiss' ability and burgeoning experience in summer 2013. 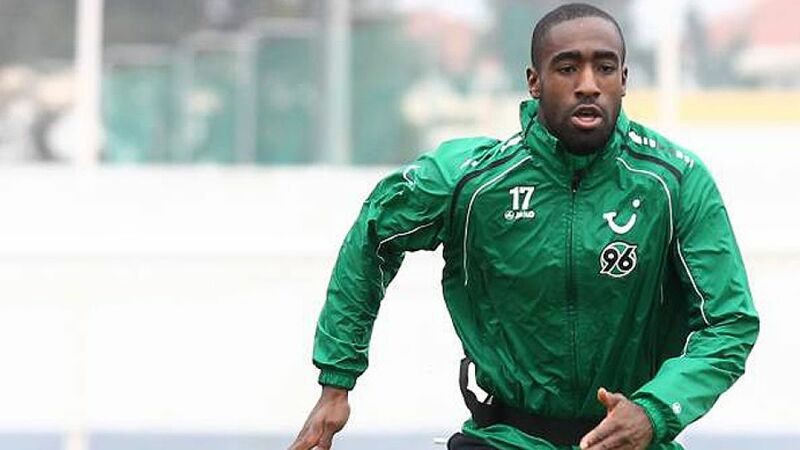 Djourou made 22 league appearances for HSV during the 2013/14 campaign as the Red Shorts held on to their Bundesliga status by the skin of their teeth, courtesy of a relegation play-off victory over Greuther Fürth. He completed a permanent move to Hamburg in April 2014, before being named in Ottmar Hitzfeld's Switzerland squad for the 2014 World Cup.